CGF series mineral water filling machine and packaging machinery is a self-developed new product by our R&D department to meet the requirement of multi-usage demands for our customers. 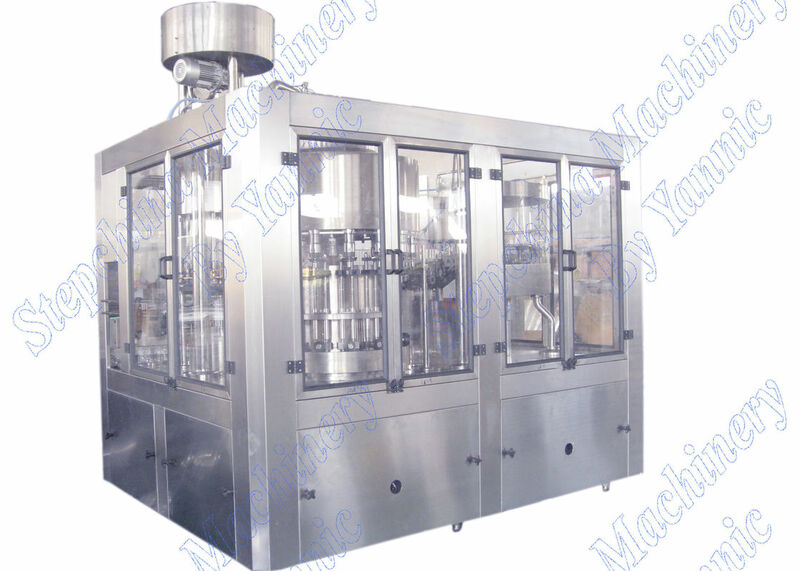 The water filling machine is consisted of ringsing-filling-caping all together. It can fill mineral water, pure water and distill water etc. CGF water filling machine adpots the suspension design. 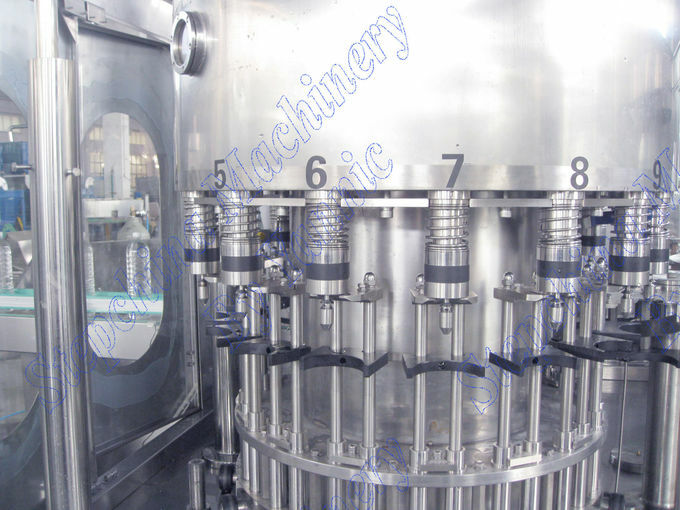 It allows the machine to fill different type of the bottles. It is normally used as drinking water filling machine. However, it can also be used for fill PET bottle with fruit juice and tea at high temperature by simply change tha valve. 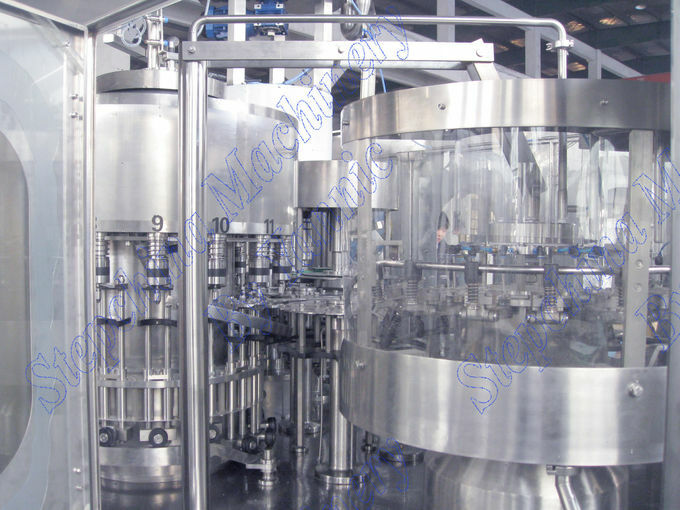 It can be connected with our others machines to form the water filling machine and packaging machinery production line. Bottle washing part. this model adopts star wheel for bottle transportation in the machine. all the parts are made of stainless steel. there is bottle guard board below the star wheel to avoid possible stuck during high speed rotary running. these guard board is made of Nylon which is softer than PVC. it won't damage bottle during production. 1. Based on Germen technology, more than 10 years of further technology development. to get spare parts in your country too. 3. Installation service and worker training service in client's factory. products transportation, marketing advice, installation etc. 5. warm service, waiting for your visiting in China. 4. 330ml, 380ml, 450ml, 500ml, 600ml, 750ml,1000ml, 1500ml, 2000ml bottled water production. easy to get spare parts in your country too.